Years ago, the thought of engineers working side-by-side with journalists might have seemed strange, but today, such an alliance offers clear advantages. 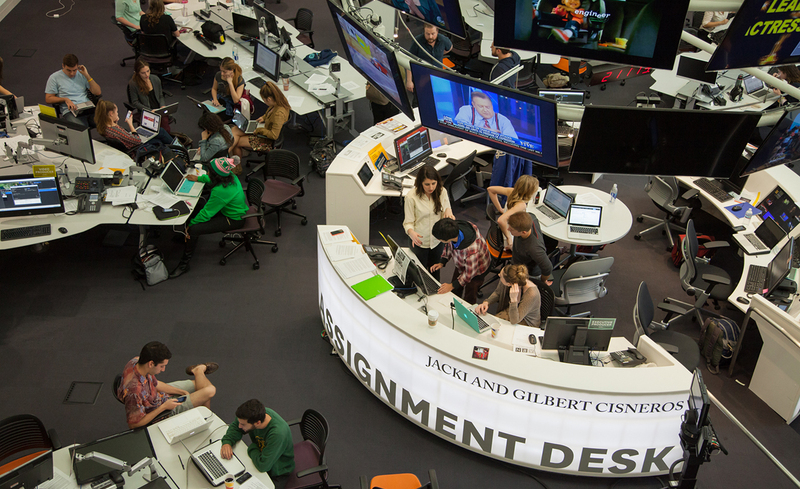 The University of Southern California intends to help its students bring informatics to journalism, and communication to data science, by launching a partnership between the USC Annenberg School for Communications and Journalism and the USC Viterbi School of Engineering. The seeds of the partnership, according to USC Annenberg Director Willow Bay, were in many ways planted by her experience at The Huffington Post, where the editorial team and the technology team worked together, swapping ideas and exchanging feedback on products and tools. On the engineering side, USC Viterbi School of Engineering Dean Yannis Yortsos cites the proliferation of informatics as a driving force behind the partnership. Yortsos said the engineering school hopes to bring informatics to other disciplines at USC, but the partnership with Annenberg was the most obvious, given the role of digital technology and Big Data in communication and journalism. The partnership as it is currently laid out has two components: A Masters of Communications Informatics degree and so-called Innovation Teams, both of which are open to students in the fall. The Masters of Communication degree will delve into the technology behind advances in communication — Big Data and data analytics, virtual and augmented reality, data mining, user-generated content, online communities and social media. Taking classes like “Foundations and Applications of Data Mining” and “Social Dynamics of Communication Technologies,” graduate students pursuing this degree will work on projects that naturally blend communication and engineering. The aim is to simultaneously develop students’ data literacy and their communication and media expertise. For instance, students will learn not only how apps and other digital tools work, but how to more accurately communicate with their audience and ensure tools are relevant and usable. 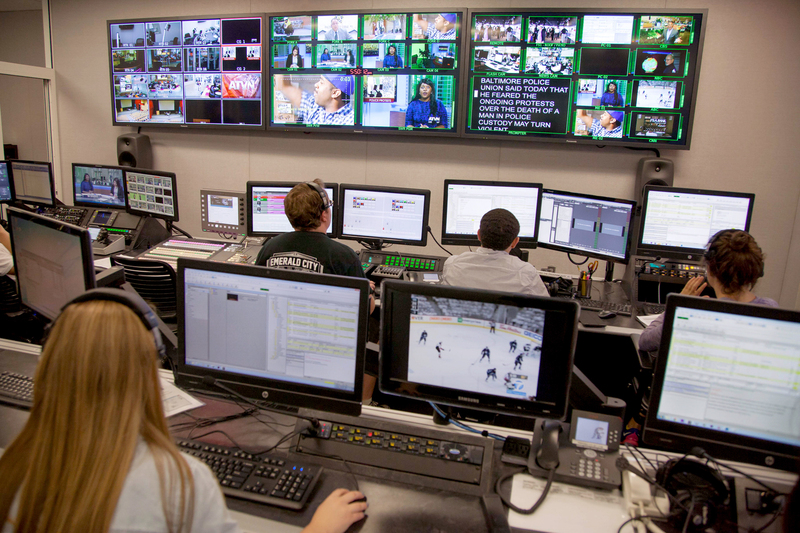 The Innovation Teams, meanwhile, will see student journalists and engineers use technology to tell stories and deliver news. 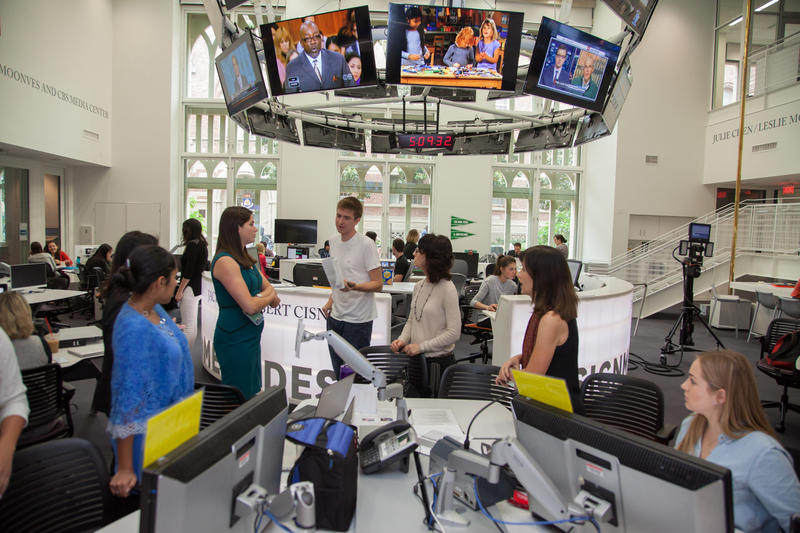 Led by an Innovation Manager from Annenberg and an Engineering Manager from Viterbi, students from both schools will work together in the journalism school’s new Julie Chen/Leslie Moonves and CBS Media Center in Wallis Annenberg Hall. With funding from the Annenberg Foundation, the teams will use the center’s digital technologies to engage with diverse audiences. In preparation for the teams, a dozen students from the journalism school, and about half that number from Viterbi, have been meeting weekly with Nicco Mele, the Wallis Annenberg Chair in Journalism, to develop digital products together. According to Mele, the first of these meetings felt like a diplomatic meeting of two countries. Among those dozen or so journalism students is Giovanni Moujaes, who said the differences between student engineers and student journalists are what make the project exciting. With Mele’s guidance, Moujaes and his colleagues are exploring a couple of different projects — one that incorporates technology developed at Viterbi and another building on ideas borne of the media center. While Mele came into the group thinking he would have to drive the work toward a smaller, more structured scope, the students have bigger plans. Mele said the fall 2016 project will incorporate a mobile app, and his approach as coordinator is now much more student-directed. “Let the students lead, and see where the project ends up,” he said. “We really want the goal to be to either better use our existing technologies or to create new platforms to really increase our ability to penetrate the community with impactful, relevant journalism content, and to either re-engage or engage with audiences around things that really matter to them,” Bay said of the teams. For Moujaes, who intends to be part of the first official Innovation Team this fall, the opportunity to try something new — developing digital tools and using data to figure out what an audience wants and needs — is what most excites him. He also believes his experience with the teams will help him in the ever-changing media world. “This is the future of journalism,” Moujaes said. Plans thus far call for one Innovation Team and one project per year, although Bay said that may change as details get ironed out. Students will apply to be part of the team, and the Innovation and Engineering Managers will select the team members. Both undergraduate and graduate students from Annenberg and Viterbi are eligible to apply, and the size of the teams, Bay said, will depend on student interest and the nature of the project chosen. No matter how many students are on a team, Mele hopes the partnership will have a ripple effect. Clare Milliken is a Chicago-based writer and editor. Milliken is a proud UW-Madison journalism school grad, and her work has appeared on Greatist.com and HelloGiggles.